Cody here. 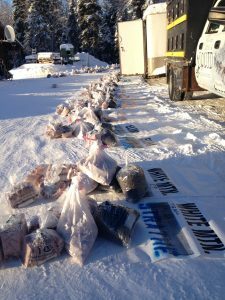 Over the past couple weeks, WE have been working hard to get my Iditarod drop bags, the team, sleds and other gear all set for the big day.. Time to go through my checklist and see if we are ready! This year we have been very fortunate to have great kennel help from Eli Hedgecok and Renae Counter. Having extra help, means that the dogs get the extra care they deserve with lots of time spent massaging dogs this season after big training runs and races. We have an amazing support system at home, in Anchorage and in Nome. There are to many players here to mention them all, but a huge thanks to Megan and Doug Moody and Megan Perry for their care of dropped dogs. Thanks to Matt Cameron for holding down the fort while the crew is in Anchorage. I cannot thank Paige enough for all of the behind the scenes work she is pulling off currently so I can rest up. My drop bags are full of tasty treats from a bunch of amazing chefs and bakers. First of all, I need to thank Hard Eats for all of their hard work making a large portion of my food. They made burritos, savory treats and amazing desserts. Heather’s Choice has supplied me with high quality dehydrated meals and their amazing packaroon snacks. LuLu’s Bread and Bagels has hooked me up with some awesome key lime cheesecakes. Our neighbor, Chef Jameson, hooked me up with some killer Panang Chicken and rice. Christine Reiser made homeade caramels and Jena and Jeremy sent a last minute care package with all kinds of homemade goodies. It is safe to say I won’t be loosing any weight! Paige took great care of the team during the Yukon Quest and I fortunate to start Iditarod with a strong and healthy team comprised of about 10 dogs from her team and another 6 or so that I continued to train. Eli and Renae’s help have been instrumental in making sure the dogs are in tip top condition. We also owe a lot to our amazing friend and great veterinarian, Tamara Rose for her help keeping our dogs in tip top health and for doing the official vet check for the race. Another huge thanks goes out to all the ITC volunteers who did ECG and blood screens on my team last week. They all have a clean bill of health. We have been lucky to have the support over the past year from Fairbanks Chevrolet. They have helped us keep our existing vehicles in great working condition and safe for transporting our precious cargo to the race. A huge thanks to Fairbanks Chevorlet for helping us with the purchase of a new dog truck this season. We also built a new dog box this season with help from the school children of the Village of Minto and the fine folks over at Alaska Land Exploration. 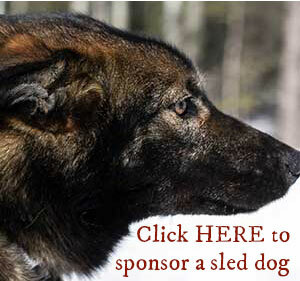 We are happy to have the support of Manmat harnesses to keep our dogs outfitted with harnesses and other dog gear. I also fortunate to have first hand technical support from DogPaddle Designs to make sure my sled is all ready for the race. 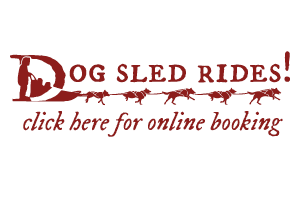 For those that don’t know, I own DogPaddle Designs and build dogsleds for myself and other mushers. 🙂 We also have great support from Becker Sewing and Designs to make sure our sled bags are set up perfectly for the race. Training and caring for sled dogs and all the things associated with it such as trail work can be very hard on the human body. I’m very fortunate to have the chiropractic support of Dr. Schertz and Dr. Krohn at the Woodland Wellness Center. My back is much happier and stronger due to their therapy over the past few years. It takes a healthy and happy musher to take proper care of a dog team for 1000 miles. I could not do it without their support. I will be drinking Clear Alaskan Glacial Water when I can and I also owe my amazing wife a thanks for her moral support. Last, but not least is all of our supporters. From our top monetary sponsors like Clear Alaskan Glacial and Fairbanks Chevrolet to dog sponsors, to friends that help from time to time, to fans giving encouraging words.. You are all an important part of our team. I cannot get to Nome without your support and I promise to take you along with me and do the best to ensure that OUR dog team has a safe and fun journey. Scurion Headlamps… Lighting up the dark of night for Team Squid!